- Made of durable, impact resistant polycarbonate sheet. - Aluminum / improved engineering plastic frame. - Quick assembly and easy installation. 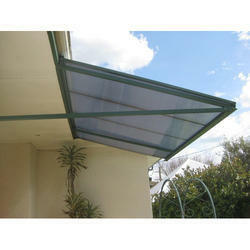 We are offering Polycarbonate Awning to our clients. 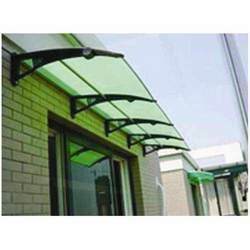 Our company is extensively acknowledged across the market for offering an outstanding quality of Polycarbonate Parking Awnings in the market. In order to keep pace with the never-ending demands of customers, we are involved in offering a wide range of Polycarbonate Door Awning Shed.